1. Cook anything sweet that come under the category of this month - 'Cool desserts' and post the recipe with picture on your blog. 5. The sweet needs to be vegetarian (no egg no meat). Only for the 'ice cream' in the above listed desserts, egg is allowed. 6. Please send an e-mail to sweetseries at paajaka dot com with the following info on or before July 31,2008. * A picture of the dish (250 pixel width). 8. The roundup of sweet series - cool desserts will be posted within one week after deadline. NOTE: The theme might be named 'cool desserts'. The entries can be hot/cold. 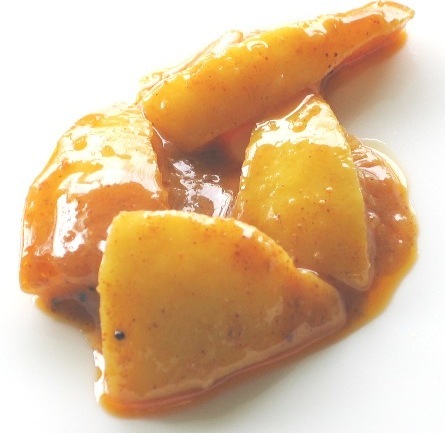 Few payasams will taste good only when it warm or at room temperature. Thank you and looking forward to all your enthusiastic participation once again. Here goes the roundup for puran polis. I have always sent my entries to the various events and this is the first time I am hosting an event and posting a roundup and I want to say that I am extremely happy hosting. 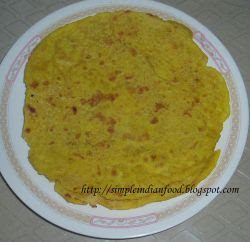 I have 38 sweet entries for puran poli sweet chapathi/roti roundup. Thank you so much to you all for the beautiful, colorful entries that you have sent me for this event. A few bloggers have sent 1+ or even 2+ entries. Many thanks to each and everyone for your enthusiastic participation. 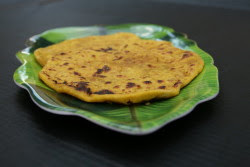 The puran poli theme has really made you all so creative and also for few bloggers, this event has inspired them to attempt the traditional, authentic puran polis. In this roundup, there are traditional puran polis, sweet parathas, sugary rotis and much more. 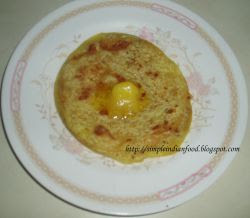 Without any delay, dear sweet lovers, I present to you the sweet series roundup - 1 for Puran poli and sweet chapathi/roti roundup. Thank you. I have sorted in the order I received. Please click on the image for recipe. Thank you so much to all the bloggers for sending the entries and for making this roundup a grand success. Expecting your support for the upcoming sweet series events too. Thank you. Wow awesome rounduop... Cant wait for the next event!!! Wonderful roundup ,All the entries look yummy !! oh sooo many sweet rotis, i really never new there were so many! great job!! BTW, Mythreyee you have spelled my name wrong..Its JZ of Tasty treats. just thought I would let u know..
will be in for the next event, for sure! Wow, great roundup !! Bookmarked for different variety of Obbattus !! Thank you ladies. Yes. I am just loving and drooling looking at these tasty and delicious sweets. nice varieties of sweet polis..thanks for your event we get to know so many..
Hi Mythreyee! That's a beautiful blog you got here! Wow..so many entries..Hope u have added my entry of sweet purri to the next month category.. Thank you ladies. See you all in the next roundup. Hi dear thanks for hosting such a wonderful event... Got an award for u on my blog award section plz collect it..
Congratulations! for your event.Nice theme for the sweet tooth people. I just sent you an recipe for sweet series. Just sent in my entry for cool desserts! This is my first visit to your blog. Just sent in my entry to 'cool events'. My emails are bouncing. is your inbox full? 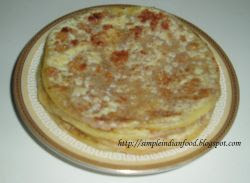 about the sweet series- cool desserts....are carrot halwa and bottlegourd halwa on my site eligible to join in??? ?let me know...i will send it ur way soon! 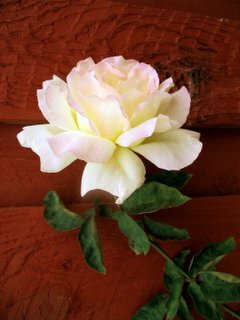 Hi Mythreyee, my first time here and u have very cooool blog.. drooling here. Nice event and gr8 round up. love to participate in that.. count me in..
Everything looks swaadisht or delicious. I'd like to try some of the foods posted by different bloggers. Are there any winners for this event?